I often find that the techniques people use act as temporary motivation. For example, watching a motivational video or setting some new goals. These are great techniques and can help you if used in the right way. 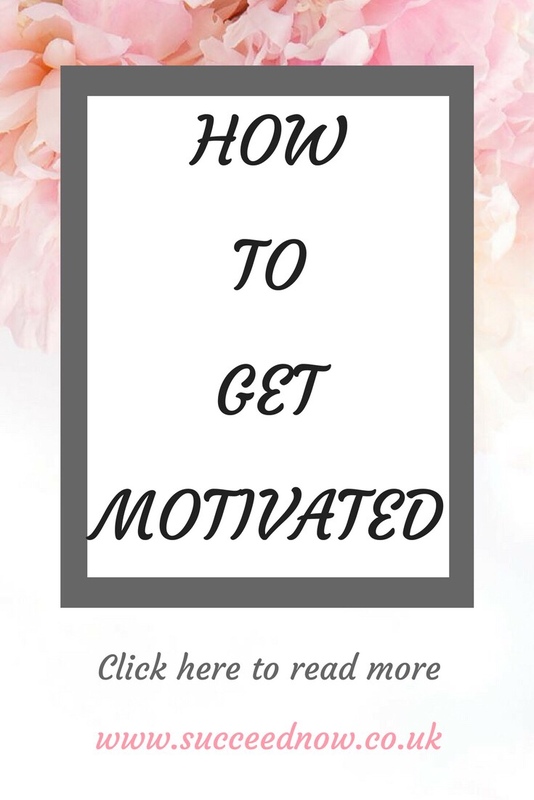 I’m going to share with you how to get motivated to take action and achieve your goals daily. As part of my morning routine I listen to a voice note of myself reading my letter to the universe (my life on 31st December 2018, this includes my goals as if I’ve already achieved them and how my life now looks as a result). This is the best way to start my day as it reminds me of the destination I am working towards. You can do this activity in many ways, you can record a voice note of your future (1, 5, 10 years from now) including any goals your working towards – mindset, health, business or any other. You can also voice note or write down action affirmations relating to your goals. For example one of mine is “I am committed to a productive morning routine to give me the best start to a positive day” this reminds me of why I start my morning the way I do and gives me the motivation to complete my whole morning routine every single day. All activities in my morning routine contribute to me feeling motivated and ready for my day. Read: The Best Morning Routine For A Productive Day. I have recently found the app Asana and absolutely love it. You can schedule your tasks and add a deadline. I look at how is daily and I find the deadlines so motivating. It makes me want to achieve the task before the deadline as after the due date it turns to red. I haven’t yet seen a task in red on my Asana app so it has played a huge role in keeping me on track and completing my actions and tasks daily. Asana is free to join, click here to go to the website. When you’re feeling unmotivated sometimes the best thing to do is put some loud music on and dance around singing to the music. It will help to improve your mood. I have a speck I playlist full of songs that make me feel empowered and motivated, I love listening to these when I need an extra boost. There are so many available on YouTube and they are so powerful. I have found so many that really relate to me and I feel they are speaking directly to my heart. There’s nothing more powerful to give me a motivational boost. If you want to you can have a go at creating your own motivation video or voice note to use yourself. You may find it even more powerful listening to your own voice. Oa regular basis I take the time to reflect on everything I have achieved. I write it down and put it somewhere I can see it so I can be reminded daily. You can use this technique for any achievements to remind yourself of how much you have achieved. Thinking about everything you have achieved and how far you’ve come since starting your journey. Click here to read more about the E-Book and discover how it can help you become more motivated. What do you need to get motivated for? I hope this helps your motivation levels, let me know how you get on. As someone who struggles with motivation from time to time, I really appreciate this post. I especially liked the idea of listening to a voice note every morning. I am downloading that app for sure, I love the idea of the voice note that is really a unique way to keep yourself motivated. I love affirmations. Those and motivational videos really keep me going on days when I feel like giving up. These are all such great tips! I really like the one about revisiting your goals every morning – Brian Tracy is a big proponent of that, and when I’ve done it, it does have a positive impact on keeping me focused throughout the day. I just need to work harder at making it a consistent habit 🙂 And I definitely need to check out the Asana app – I can see how not wanting a task to turn red would be motivating! Thank you for this wonderful reminder of ways to get motivated. This is inspirational and easy to follow. My favorite birthdays this is to make Michael’s in contact with the emotions. It is powerful! I just love the voice note tip, it’s brilliant. Reading and watching motivational material does it for me and like you I also remind myself of my achievements and it really helps keep me going. Very helpful post, thanks Lucy! Thanks for such a wonderful post. I talk to myself daily before starting my day. I remind myself about the goals I have set. I really helps me stay motivated. my husband downloaded Asana for us months ago but I still haven’t used it. Maybe now I will!